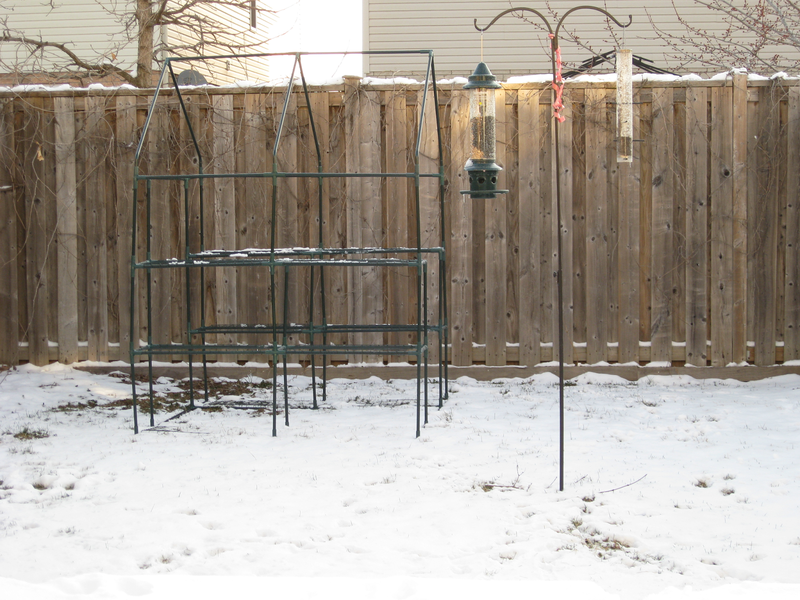 Can you see the icicle on my bird feeder? It often snows in April here in Ontario, but it is always surprising. I didn't get the plastic cover on and secured before the grass disappeared again. 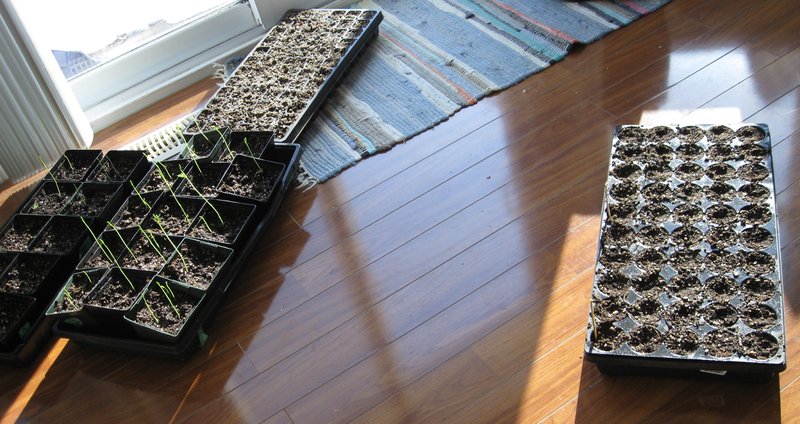 So instead of giving my kitchen/greenhouse a break, I am chasing the sun around the floor of our house; with trays of seeds that need light to germinate, and sweet peas that are getting a bit leggy. That snow needs to melt. ASAP.